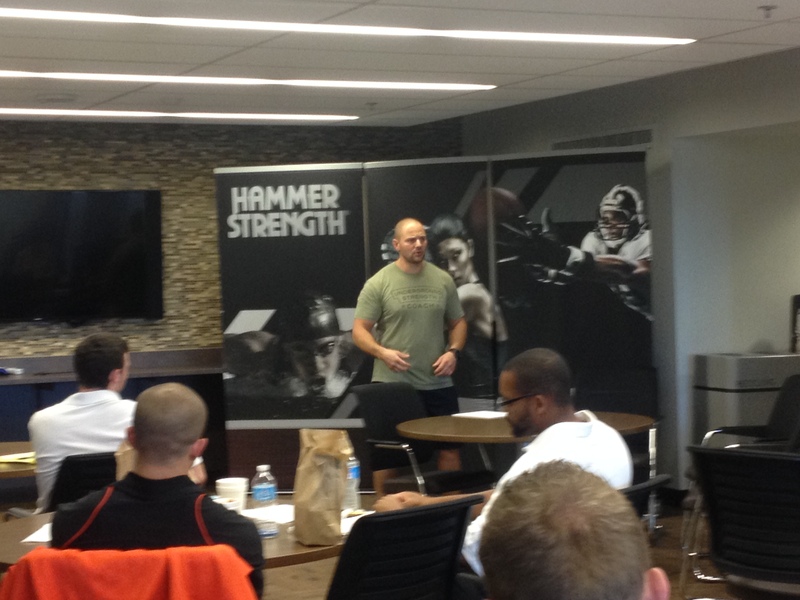 Not long after my drive to Columbus for the XPC Semi-finals I heard that Hammer Strength was having a Wrestling Clinic at Lehigh University in Pennsylvania. Being a former high school wrestler this peaked my interest. I found out that not only was Jason C. Brown, who I had just seen, was going to be there, but also his good friend Zach Even Esh as well as other strength and conditioning and wrestling coaches. I thought that would be the perfect time to meet Zach and find out more about what makes him successful. 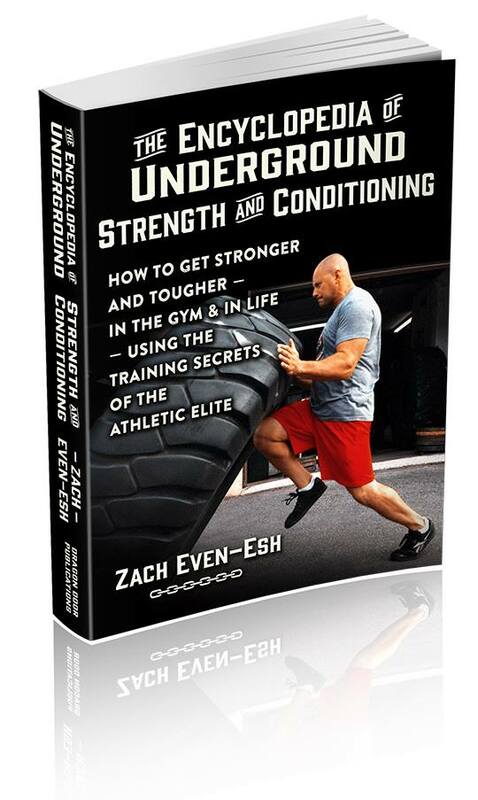 Zach Even Esh is kind of a big deal in the strength and conditioning world for those of you who don’t know. 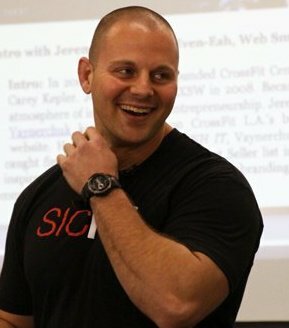 He is the founder of the Underground Strength Gym and the Underground Strength Coach Certification as well as an author ( http://www.amazon.com/The-Encyclopedia-Underground-Strength-Conditioning-ebook/dp/B00N67R7LE). He is known for producing high level wrestlers with his no nonsense, no gimmick training. I watched Zach warm up the wrestlers who came from all over, including those from the Lehigh Valley Wrestling Club and USA Wrestler David Zabriskie, then he ran them through a workout. I also sat in on lectures from varies coaches including my new pal, Strength Garden’s Jason C. Brown, Dr. Jarrod Spencer, president and founder of Mind of the Athlete, LLC, and James DeVincenzi, assistant varsity strength and conditioning coach at Princeton University. I was more than excited to pick Zach’s brain when he was done and he was nice enough to sit outside with Jason and me and go through a semi-rapid fire array of questions. If you haven’t figured out by now, my purpose in writing this blog is to not get technical strength and conditioning secrets from these coaches, but to find out what motivates these men and women to do what they do and be who they are. Much like Jason, Zach’s motivation is his family. His wife and kids motivate him every day to do his best and excel in everything that he does. He’s never satisfied with average. 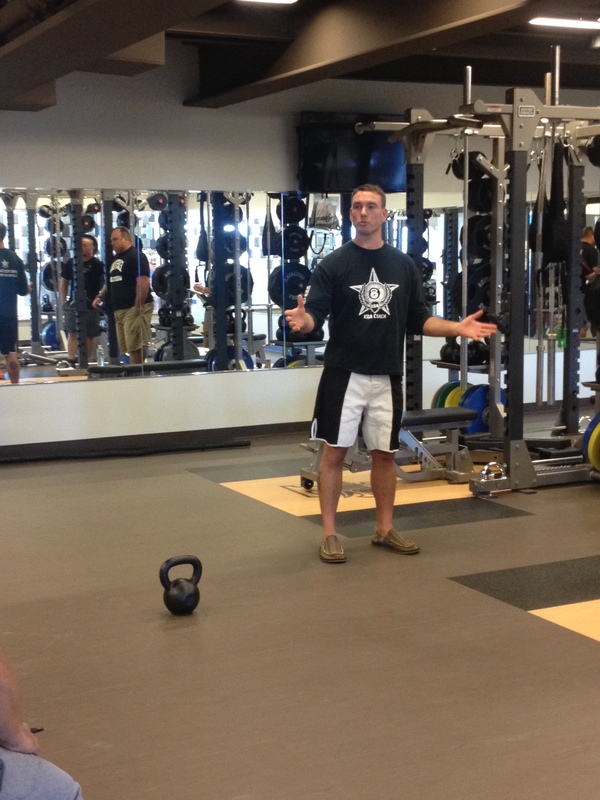 Being as known in the strength and conditioning world as Zach is, I knew that he wasn’t new to being interviewed. I wanted to know what people haven’t heard yet and what he wanted to share rather than what he was expected to share. Zach is known as the guy who knows how to train wrestlers, but he’s so much more than that. Zach is so passionate about what he does that sometimes it overrides people’s ability to see him as a coach. He wishes people would ask him more about the training itself rather than the business and superficial aspects of training. As a good coach, coaching the mindset of an athlete is one of the biggest keys. Confidence and mental toughness are paramount. Having the right mindset is more important than athletic ability. Zach strives to help his athletes learn the life lessons behind the training, such as overcoming obstacles, persistence and discipline. It’s more than just 50% mental training and 50% physical training. You need to be in at 100% on both of them all the time. Every now and then Zach will have a kid who comes in really weak, with not much athletic success. One such athlete started at 88 lbs being 14 years old. He was 15 lbs under his weight class for wrestling, but he worked hard and the next year his record was 15-1. He became one of the most successful kids through dedication and hard work. Zach is a coach on all levels and just wants to help people to succeed. He’s learning to focus on the people who needs and deserves the help and on giving his athletes life lessons for continued success. Zach has successes outside of the gym as well as inside the gym. He considers his greatest success as being a father to his kids. I always like hearing that coaches have a strong sense of family and measure their success by nonmonetary items. To me it says they are passionate about their craft. 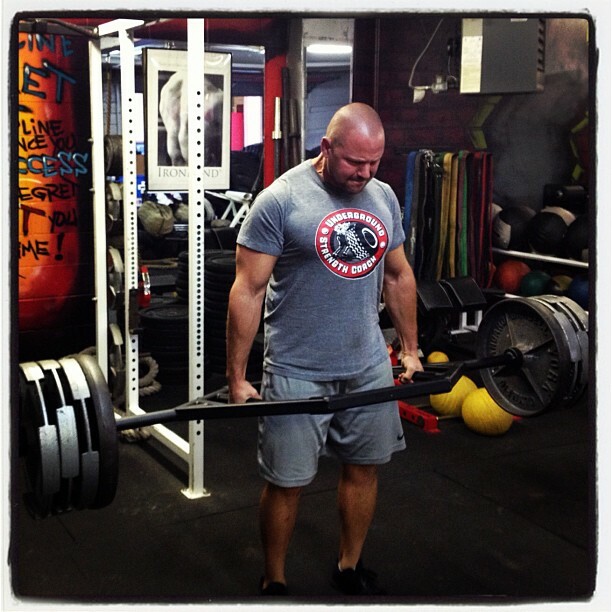 Good strength and conditioning coaches who care will help build the mind as well as the body. There are people who care and then people who look like they care just so they can say that they helped someone. Zach doesn’t care if people know him, he cares to change lives. Although Zach has DVDs, books and videos, he produced those so that I could leverage my time as opposed to finding fame. His biggest passion is coaching. With all the information that Zach puts out there, I wanted to know if there has ever been a time that he wanted to keep his knowledge to himself and not share it with everyone. What Zach has learned is that when Jason and he were both learning all of these things about training and the body around the same time nothing was free. You couldn’t talk to coaches or email them and now information is more accessible. He’s talked to coaches and told them what he knew and so many of them just copy the websites and information without them actually learning anything. Looking back he feels that at the end of the day he did a disservice because he gave them an easy way and that didn’t make them quality coaches. Zach thought by helping them they would help more athletes, but the coaches used it in the wrong way by using it more as a way to make money rather than using it to help kids actually get stronger. He feels that a lot of people don’t value what you have if you just give it away for free and they don’t respect other people’s time and information. He’s more protective over his time now because of this because it cuts into his valuable family time. As with most successful people, reading is an important part of their regiment. Zach’s no exception. I wanted to know which 3 books he would save if his library was on fire! Currently, the books Zach would save are, Lone Survivor by Marcus Luttrell and Patrick Robinson, No Easy Day by Matt Bissonnette and Kevin Maurer, in which Zach learned about how much the body can handle, mental toughness, and about overcoming obstacles, as well as either Encyclopedia of Modern Bodybuilding or The Education of a Bodybuilder by Arnold Schwarzenegger. Jason also chimed in on this question, as it is a good one if I do say so myself! His picks were Athletic Development by Vern Gambetta, Play As If Your Life Depends On It by Frank Forencich, and The Essential Rumi. If you haven’t read any of these may I suggest that you put them on your reading list! I also like to know if there’s ever a quote that sticks in successful people’s minds that push them forward. For Zach, there used to be a picture of Tom Platz above the squat rack with a quote that said,“There are those that do, and those that don’t; those that will, and those that won’t.” You already know the things that you need to do to be successful, it’s up to you to actually follow through and make it happen. I like it because it’s straight and to the point, a lot like Zach, no frills, no tricks, just hard work. There are those that do, and those that don’t; those that will and those that won’t. Near the end of our chat, which wasn’t as rapid fire as I had planned, Zach turned the tables on me and asked me a question! I was quite surprised as I’m usually the one asking all the questions. He said, “If you were to never see me again, what is the one thing that you want to know about me?” Despite my minor hesitation due to being taken off guard, the answer was actually simple since it was the first question that I asked, “What motivates you?” Granted, I know that everyone’s motivations are going to be unique, but a lot of them have similar themes that others can relate to and be inspired by. Although our chat ended with a poignant statement, it was filled with hope. Even though Zach regretted not being able to continue with wrestling he has turned it into something positive by in turn helping others follow their dreams and meet their goals. This leads me to ask you, if you knew that tomorrow was your last day, would you have any regrets? If the answer is yes, how can you turn that regret into motivation?